Despite a US Dollar at par, increased competition from neighbours to the south and an overall economic downturn, film production facilities just seem to keep growing in BC’s Lower Mainland. Sony Imageworks doubling the size its CG production facility in Vancouver to over 32,000 square feet. The building will be used to add post-production special effects and 3D conversion to Sony’s Blockbuster and Animation projects. Randy Lake, the executive vice president of Sony Imageworks cited Vancouver’s talent base and government incentives among the reasons for expanding the facility. 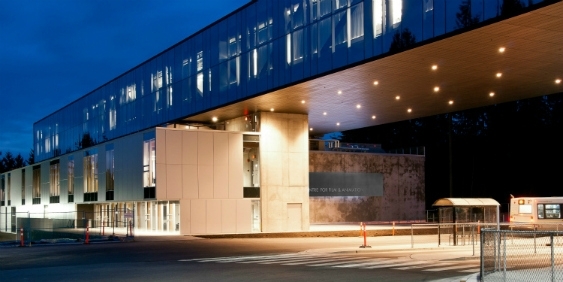 If that wasn’t enough, Capilano just opened the $31 million Nat and Flora Bosa Centre for Film and Animation. The 69,000 square foot facility will house film and sound editing bays, 3D production equipment, animation labs and 8,000 square foot sound stage.